Curl up with some hot cocoa! This cozy set is perfect for little ones looking to warm up on chilly days. 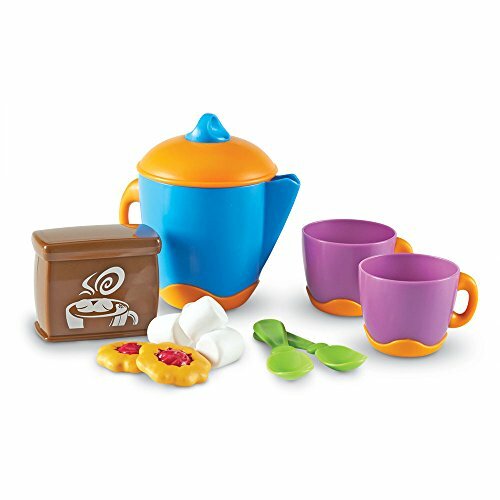 The vibrant kettle, mugs, and chocolate container create the perfect recipe for imaginative play. Stir in as much chocolate as you like and top it all off with some fluffy marshmallows. Fresh-baked cookies are the perfect snack to enjoy with your toasty beverage. Kettle measures 51/2″H. Toddlers+, Ages 2+. Set of 12.